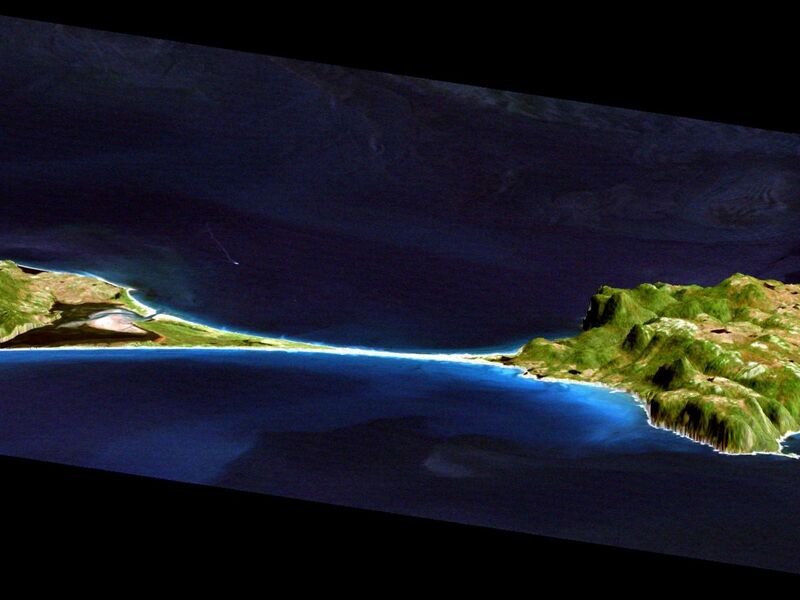 This image shows two islands, Miquelon and Saint Pierre, located south of Newfoundland, Canada. These islands, along with five smaller islands, are a self-governing territory of France. A thin barrier beach divides Miquelon, with Grande Miquelon to the north and Petite Miquelon to the south. Saint Pierre Island is located to the lower right. With the islands' location in the north Atlantic Ocean and their deep water ports, fishing is the major part of the economy. 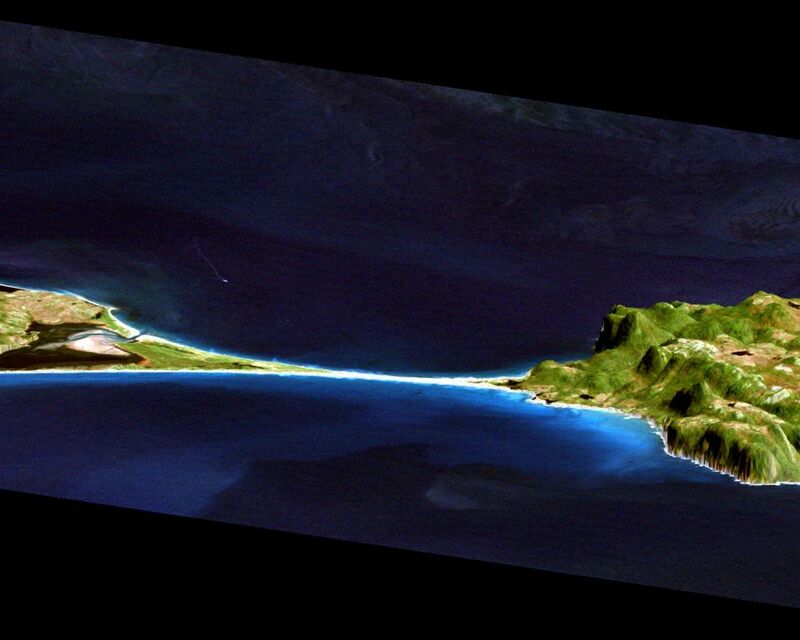 The maximum elevation of the island is 240 meters (787 feet). The land mass of the islands is about 242 square kilometers, or 1.5 times the size of Washington DC. This image shows how data collected by the Shuttle Radar Topography Mission (SRTM) can be used to enhance other satellite images. Color and natural shading are provided by a Landsat 7 image acquired on September 1, 1999. 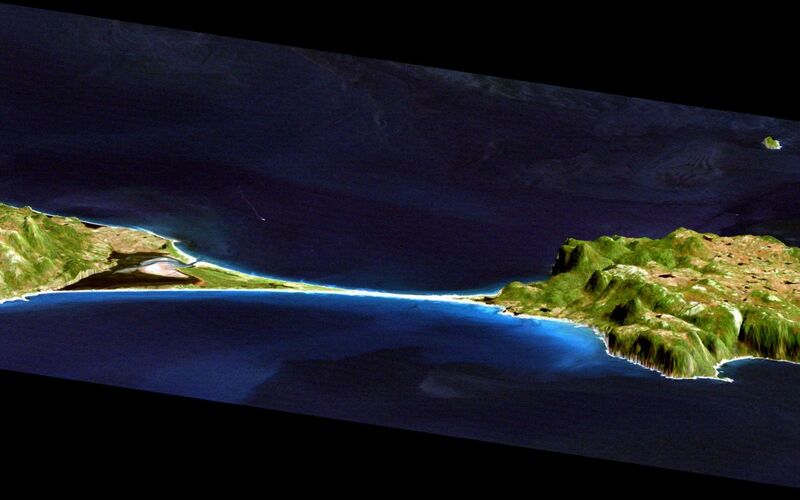 Terrain perspective and shading were derived from SRTM elevation data acquired on February 12, 2000. Topography is exaggerated by about six times vertically. The United States Geological Survey's Earth Resources Observations Systems (EROS) DataCenter, Sioux Falls, South Dakota, provided the Landsat data.